Doctor Lailuma Abawi has been graduated as MD from Kabul Medical Institute in 1990 and currently playing the role of Director General for MMRCA. Dr. Abawi has worked with many national and international NGOs and the Ministry of Public Health on the capacities of Gynecologist, Master Trainer, EOC Officer, Nutrition Supervisor, Community Midwifery Education, Operations Director and the Director General. She is Afghan national and living in Kabul. Dr. Abdul Rashid has been working with MMRCA as Executive Director in its Head Office in Kabul. He has completed B.Sc, MD, MPH and DMS level of study programs from national and international institutes. He has worked for UNHCR, WHO, UNDP, GTZ, MRCA, IbnSina, MCPA, GS, GI-A and MMRCA. 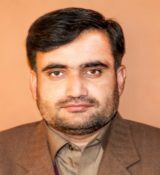 He is fluent in English, Dari and Pashtu and competent in using MS office, research soft-wares and internet packages. He is Afghan National and living in Kabul. Since its establishment in 2008, MMRCA has made great efforts to contribute to the socio-economic development of communities and people of Afghanistan. MMRCA has been passed the very difficult days of prematurity followed by sustained and gradual growth like most of the NGOs in the country. However; it’s a matter of honor, pride and great pleasure that MMRCA is now in a well stable state and know NGO in Afghanistan among the rests. MMRCA is a national non for profit Humanitarian NGO, working and specialized in the areas of Health Service Delivery, Research, Capacity Building and Social Development. It’s clear mission and pro-active strategic approach has resulted to its sustainable development of having a small fund of 50,000 USD in 2008 vs. a big pool of fund of a BPHS Project for 2015-2018. Since 2008 till date the organization has worked in more than 18 provinces of Afghanistan and has implemented multiple projects in the areas of Health, Research, WASH, HIV Surveillance, Trainings and Awareness Rising at the grass root level and with close coordination of local governments and communities. The Board of Trustees of MMRCA is grateful to the generous support of donors, development partners, stakeholders and our sincere gratitude goes to the dedication and inexhaustible work of staff and volunteers. Given the recent developments, business opportunities ahead and the complexity & challenges in fund raising, MMRCA as a professionally developing NGO will work on innovative and strategic approaches to overcome to the challenges and adapt to the donors requirements. Finally the board wish and hope great success for MMRCA in the long term in order to improve the lives of its citizens specially mothers and children in developing communities. MMRCA’s background indicates that it had great accomplishments and achievement in its history since 2005, but I think much need to be done in order to reach to the vision and mission of the organization. MMRCA is currently implementing a BPHS Project in cluster-2 of Ghazni Province that is running through 2-Districts Hospitals, 11 Comprehensive Health Centers, 14 Basic Health Centers, Three Sub-Health Centers and 611 Health Posts. In addition MMRCA has two running vertical projects supporting nutrition and communicable diseases in Ghazni province. This was the begging for tremendous development of the Organization but as a general principle business should be dynamic that is why MMRCA need to be in constant momentum. One of the efforts and strategic approach MMRCA has taken into consideration is the development of five years Strategic Plan, this plan will be a tool that will guide MMRCA on moving to the right track and on the other hand this will also brings MMRCA’s strengths, weakness and the opportunities and threats existed in the market together to recognize and utilize the organization potential. The strategic plan will be an innovative forward-thinking tool to ensure that the organization is continuously striving to help the poor people of Afghanistan through delivery of health service, research, capacity building and community development. It’s my pleasure’ to congratulate the Board, staff and stakeholders of MMRCA that in recent capacity assessment conducted by the Earnst and Young (E&Y) Consultancy Firm; the Organizations had great success in terms of management and execution of services. Finally I would like to extend my sincere thanks and gratitude to the Ministry of Public Health, MMRCA’s donors and development partners for their generous support and MMRCA’s staff for their tireless efforts in implementation of quality services in very insecure parts of the country. The Medical Management and Research Courses Afghanistan (MMRCA) is a national, non for profit, non political, humanitarian organization.